Thank you for your continued interest in Azureys Cats! 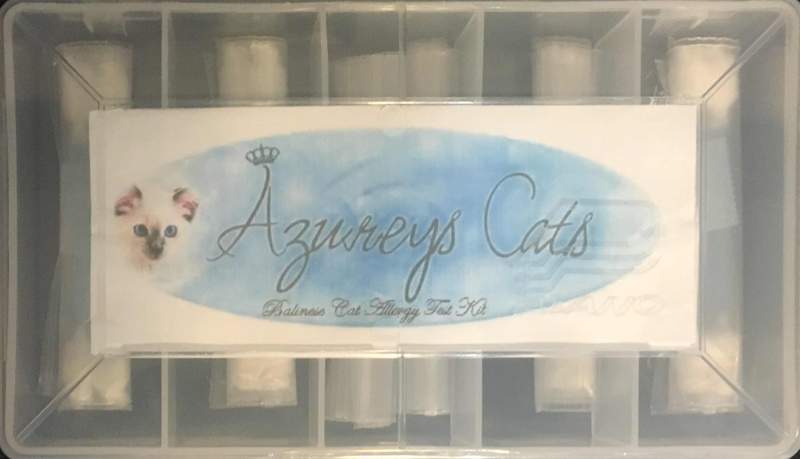 Please find below some Azureys Cats products and items that we sell to the general public. These items were designed, created, and/or produced with the same passion and dedication we have for the Balinese cat breed. You may also decide to visit our Cafepress store front to see more of our available items, you may do so by clicking here. 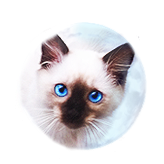 Thank you for your support of the Balinese cat breed and Azureys cats! 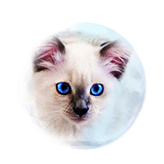 With the overall increase of consumer research and education on the Balinese Cat breed, we have come to understand the need and demand of those that are allergic to cats but would like to give the Balinese cat breed the opportunity for realizing their dream of owning a cat due to their hypoallergenic quality. We decided that the best way to assist those in determining if a Balinese cat would be the best match for their allergies would be through our allergy test kit. Keep in mind we do prefer you meet and test our cats by visiting but for those that cannot due to time and/or distance this kit would be of help. All sent kit samples are freshly attained from our cats in our breeding program. $25.00 reimbursement if you proceed with reserving a kitten from our breeding program. ***Please keep in mind that you are testing your allergies with cats from our breeding program which include our breeder cats, breeding lines and genetic combinations. 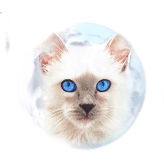 ***We make no representation of Balinese cats outside our breeding program and their hypoallergenic qualities nor the probability of using our tests and acquiring a kitten or cats from another breeding program. ***Please keep in mind that this kit is made available to test your allergies BUT we are not Doctors, or Allergists and do not make any representation of such. Please consult with your Doctor/Allergist if to proceed with this test and to help you make your decision. By proceeding with purchasing the kit, you are fully aware and in agreement with the above. We are offering a sample baggie of Ganoderma Lucidum Coffee and Green Tea. 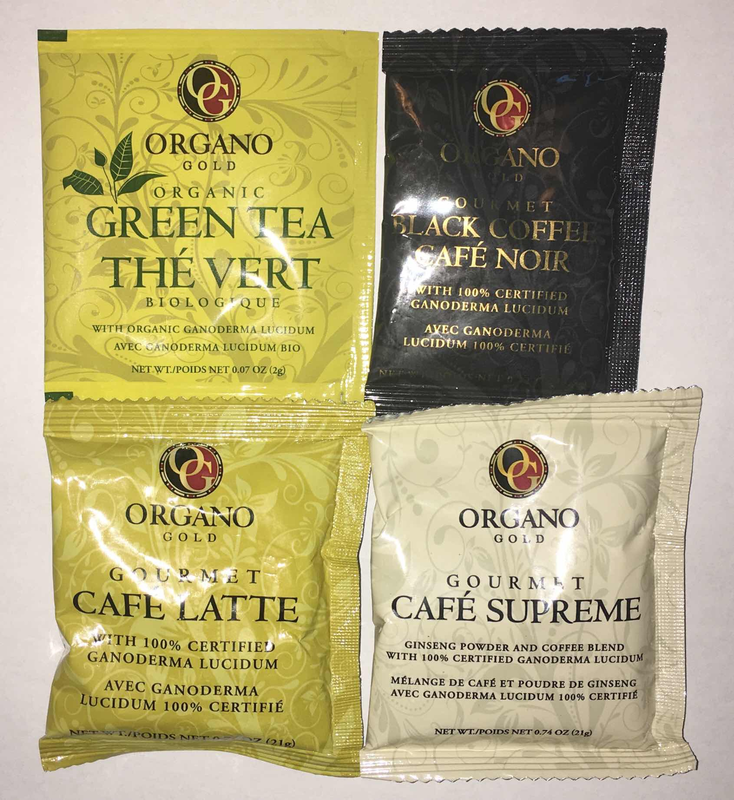 The sample baggie contains (1) Green tea, (1) Black Coffee, (1) Ginseng Coffee, and (1) Latte Coffee directly from Organo Gold. This newly edited and published Full calendar features our Balinese and Siamese cats. We hope you enjoy this Balinese Cat Calendar and please do not hesitate to give us any feedback/comments for future design ideas. Click on the picture to be redirected to our Cafepress Storefront to see this Calendar fully. 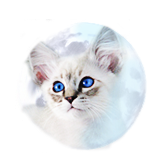 Thank you for your support of the Balinese cat breed. This newly edited and published Print Calendar features our Balinese and Siamese cats. We hope you enjoy this Balinese Cat Calendar and please do not hesitate to give us any feedback/comments for future design ideas. Click on the picture to be redirected to our Cafepress Storefront to see this Calendar fully. 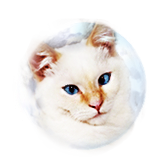 Thank you for your support of the Balinese cat breed. Be Bella Bali Happy with this hilarious picture of Bella the Balinese cat. Spread the Bali Happy mood!